Here's a small job I drew recently for a website called Style Forum. 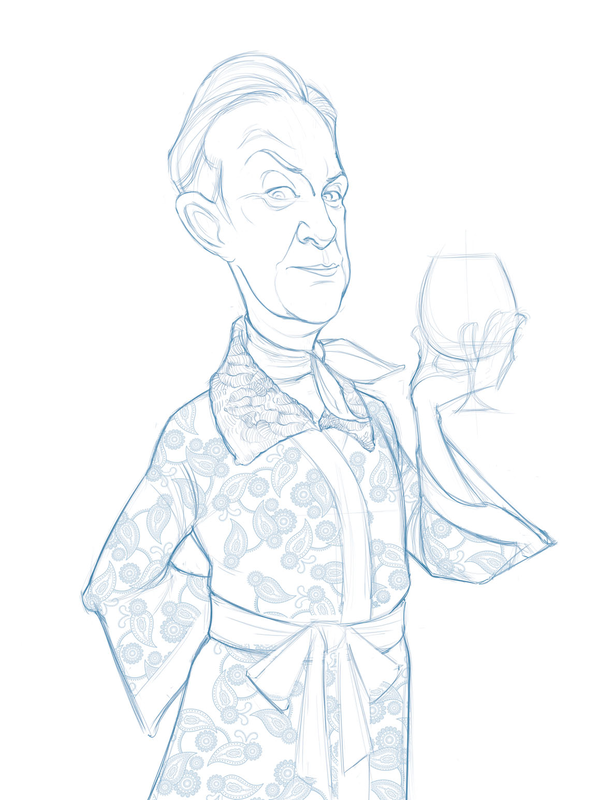 They asked me to draw a character named Professor Fabulous, the elder statesman of fashion. 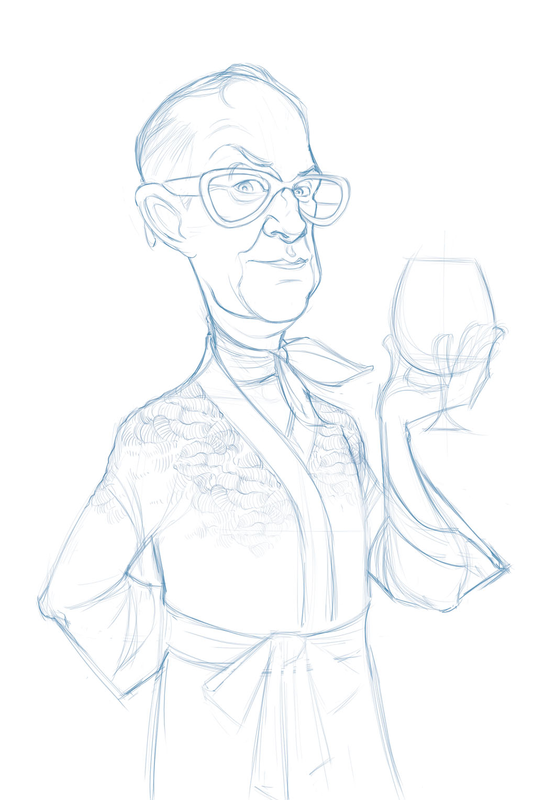 Professor Fabulous is, as one might imagine, fabulous in every sense of the word. 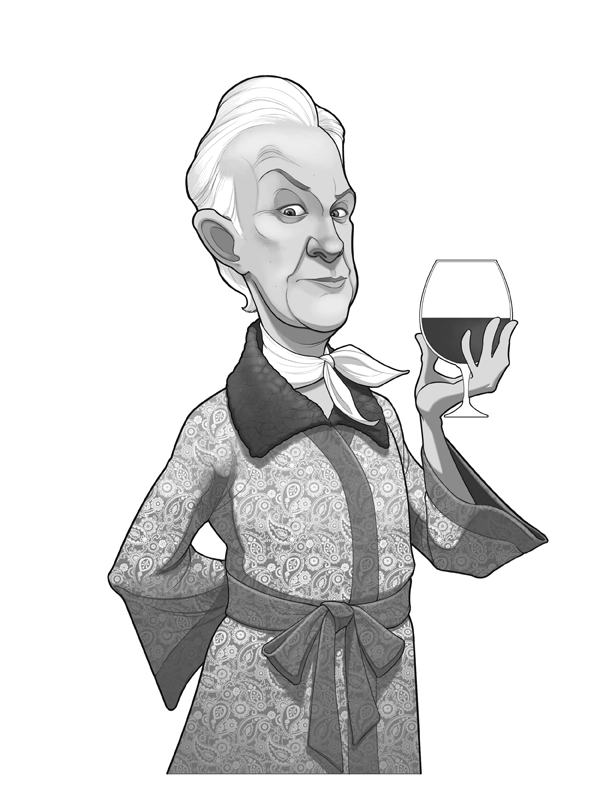 He was described to me as diffident, aloof, and clad in a paisley kimono with an ashtrakhan fur collar. 'Nuff said. This was a great little project. Hopefully, I'll have the opportunity to work with the Style Foum crew in the future.